Guest posting is a cliche for bloggers these days. Then, you will hear someone cite Matt Cutts stating that “guest posting is dead”. Well, it turns out that Matt was talking about low quality guest posting. Guess what. Guest posting works, and it works very well. I want to share a guest posting case study with you. These results are from a niche website, but these results can be similar for any industry or website. I started working with a client that needed an outreach campaign to get guest posts. The primary goal was to get some backlinks on high authority domains. The website was young, only a few months old. The results were remarkable, and if you’ve ever launched a new website in a competitive space, you will understand. 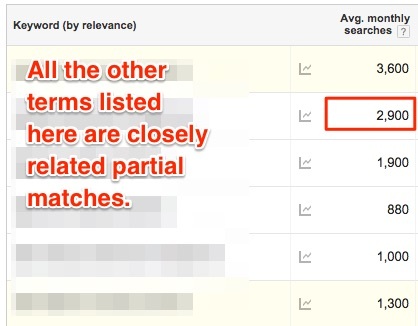 The primary keyword for the website gets about 2,900 exact match searches per month. You can see the screenshot below from the Google Keyword Planner. Check out all of the other closely related keywords, which are technically partial matches. The primary competitive keyword was ranking at 152 when I started the campaign. After 8 weeks, the term is sitting at 29. I believe that the momentum will continue as the backlinks age. You can see the rankings movement when the guest posts published, and then they finally moved up a lot. 7 Guest Posts were published on a variety of blogs. The Domain Authority (defined below) ranged from 23 to 49 with an average of 38. All of the blogs were real, authentic blogs with followers on social media and real live audiences. The process is simple and it is hardly unique. I followed standard methods for guest blogging. The process has been well documented by many and some of my favorite resources are Brian Dean (Guide to Guest Blogging), Neil Patel (9 Easy Steps to Become a Successful Guest Blogger), Ninja Outreach (How To Use Ninja Outreach to Get Guest Post and more), and Iris Signals (The Ultimate Guest Blogging Guide For Small Business Owners). Find potential blogs for guest posting. Develop guest post topic ideas. There are countless ways to find blogs to guest post on. Refer to the guides noted above for more reading. I look for footprints using advanced Google search strings to find very broad niches. 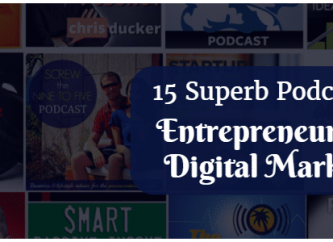 Ideally, the niches have lots of blogs that are undermonetized. It turns out that most blogs are undermonetized. More on the monetization later. It’s going to help us make a compelling pitch. Let’s look at an example since I can’t reveal the actual niche and competitive keywords for my client. I want to get guest posts for my hypothetical niche website about potting containers and pots for plants. Gardening blogs - that’s an easy one but they may have covered the topic very thoroughly. It wouldn’t be my first choice. Food blogs - Another massive niche that’s under monetized. You can write about herb gardens and talk about container gardening. Within a few minutes, you should be able to find 100s and 100s of great prospects for guest posting. 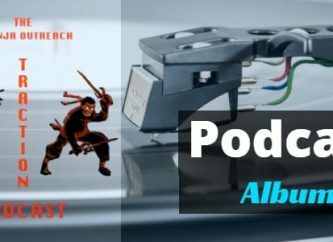 If you haven’t read the other guest posting guides yet, here are some searches that you could try. food garden "leave a reply"
vegetable garden "leave a reply"
vegetable garden "write for us"
NOTE: The first two are searching for sites that allow comments and that usually means the site is a blog. The last two are looking for sites that allow guest bloggers. The topics are related to the niche, and that is something you’ll have to research. You can use the same approach for Mom/Parenting and Food blogs. You don’t want to find old blogs that aren’t updated anymore. There are thousands of them and you will waste your time emailing them. 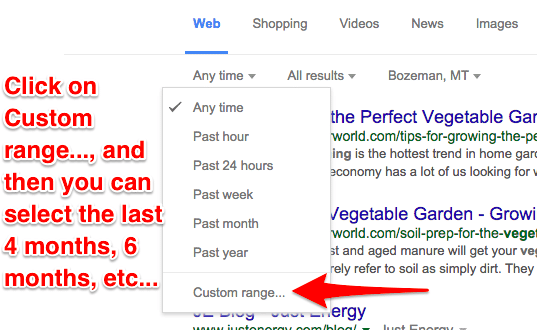 Use the advanced Google function to only find recently posted blog posts. What about warming up the bloggers? You can insert a step in step 1 where you warm up the prospect with the hope of improving the conversion rate. Essentially, you make contact with the blogger so you aren’t a stranger. It is much easier to ask for a guest post when you aren’t a random person. Comment on their blog posts. Share their blog posts on Twitter, Facebook, and anywhere they are active on social media. 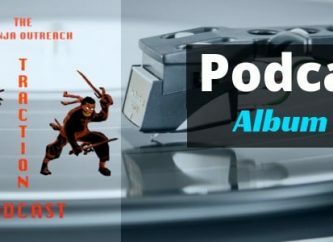 Leave an iTunes Review for their podcast. Follow the blogger on social media, wherever they are active, and interact with them. Follow the blogger on Twitter and interact with them. Join their Facebook group and interact with them. Join their email list and reply back to their emails. Link to them in your blog posts. Ninja Outreach makes it very easy to keep track of who you contacted by recording the “Relationship Status” for any of your prospects. If you aren’t using Ninja Outreach, then you could keep track of things in a simple spreadsheet. It gets messy in a spreadsheet, but it can be done. While you are researching the blogs, you will start to see trends in the topics. Spend some time on the blogs, skim the headlines, and even read some of the articles. You should have some idea about what matters to the niches demographic. Come up with several ideas for guest posts that you can pitch to the bloggers. You need them for the next step. You need to have a topic that allows you to mention your keyword topic. The topic doesn’t have to be solely about that keyword - you need to be able to mention it. You can mention container gardening in both cases and it would flow just fine within the article. I just came up with those ideas and I don’t even have any kids! Just think about what that vertical of bloggers likes to write about and it should be easy. I used templates inspired by Brian Dean, Neil Patel, and Ninja Outreach. 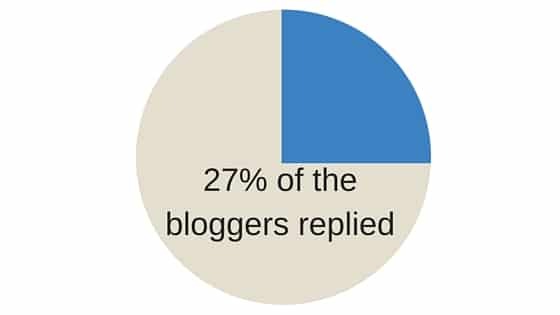 The cold pitch email yielded a 27% response rate which was very high. Only about half of the replies were accepted. I am surprised about how many people actually replied to the email. Other campaigns get about half of that response rate. A decent set of people don’t accept guest posts at all and still reply back. That’s fine since some people just want to publish their own work. Most of the rejections will come in the form of being ignored. It hurts, but you have to move on and make sure you send out enough emails. In this case, 73% of the people simply ignored my email and it was an exceptionally outstanding campaign. Requesting guest posts is a form of sales, and so it’s a numbers game. You are going to be rejected a lot, a discouraging amount. But don’t let it get you down because if you don’t send out the emails then you’re guaranteed to not get a guest post. I added a little nugget at the end – I specifically offer to them to add their Amazon Affiliate links. Remember how I talked about finding under monetized niches? This is why. Adding that one line turns this offer into an irresistible win-win situation. The blogger gets high quality content that is a potential money maker. Without that, I am just some random person asking for a favor. Of course, you can review how the site is monetized and customize the offer for them. Check out the disclaimer page on the blogger’s site because they normally list the affiliate links that may be present. What about the people that didn’t reply? Be sure to follow up with people who seem to ignore your initial email. 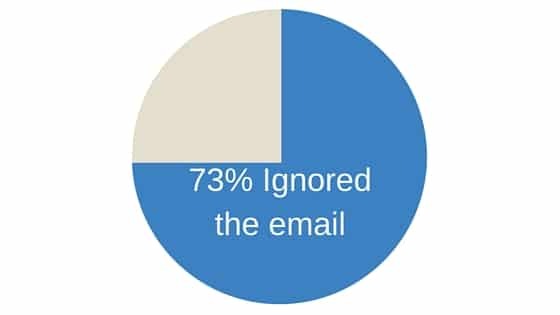 I sent another short email after about a week to the other 73% of the people that never responded. A surprisingly high number of people replied. 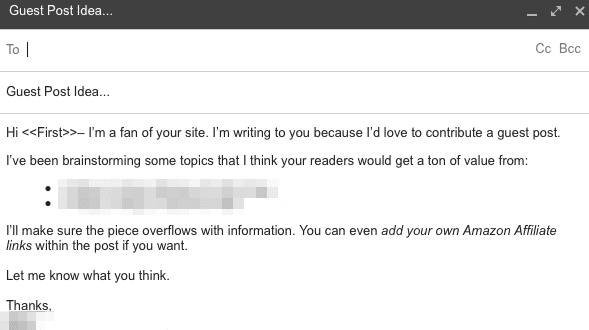 By sending out a follow up email, I was able to improve the conversion rate to 14% overall. It is surprisingly simple and effective. Note: There were actually a few more bloggers that accept the guest post pitch but I declined them. My client only wanted a certain number of post due to budget constraints. You want to over deliver in the form of quality so write the best article you can. Hire an editor if you can and make it awesome. If the blogger has any guidelines about a word count, image count, or image resolution, then follow them exactly. Provide original images if you are able to because they will have a higher perceived value than creative commons type images. Pay the money for stock images if you can’t take any pictures yourself. And, one of the main benefits of guest posting and the reason for this case study is contextual backlinks. So, write the post in a way that allows you to add outbound links to your own website. I also add several other backlinks within the article. Add backlinks to authority sites for readers to reference. Add internal backlinks to the blog in your guest post. The blogger will love to see their own work referenced. Most likely if you have internal links, the blogger won’t even question your other links. Comment on the blog post. It is good practice to thank the blogger for the opportunity. You should also answer any reader questions in the comments. Share the post on all the social media channels that you can. If you have an email list, then you can send a link out to them as well. Guest posting can be scary when you are trying to land your very first one. You have to reach out to people and risk getting rejected. It turns out that is part of the process and you need to be able to deal with that part of the process. If you follow the steps that I outlined here, then it should be a matter of executing the plan. Find potential blogs for guest posting. You can be creative and look beyond the obvious blogs that are directly related. Develop guest post topic ideas. Look at what the bloggers are already talking about and work in your niche angle in a clever way. Email the bloggers. Keep it short and expect to mostly rejections. Warm up the bloggers by being nice and sharing their content. Write the guest post. Make it super, high quality! Follow up. Be gracious and be sure to actively answers questions in the comments. If you need help executing the steps, I can help - you can simply outsource it to my guest posting service - it is a turnkey solution. The Ninja Outreach team also has a great service to take care of the outreach portion.